Tennessee Urban Farm was formed in 2016 to offer the community fresh food grown in the healthiest way, year round. We are a Tower Garden Certified Seedling Provider. Our Mission is to inspire healthy living around the world by growing fresh, clean food for the locavore market. Using the next generation of technology, we provide community education, life changing distribution opportunities, and expansion of personal horizons. We help to expand the food revolution offering better nutrition for all. Dan & Mona Hitch have both had severe health issues and have resolved them through better nutrition and the Juice Plus+ products. 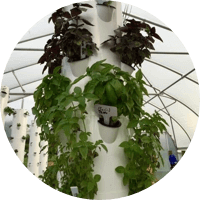 Tower Gardens are an eco-friendly vertical aeroponic growing system that allows your family or customers to enjoy fresh vegetables year-round using less than 10% of the water and space of traditional gardens. The Tower Garden is 33” in diameter and about 60” tall, perfect outdoors on a deck or patio or indoors with grow lights. It is easy to assemble and maintain and no green thumb is required. The kit includes everything you need to start growing. 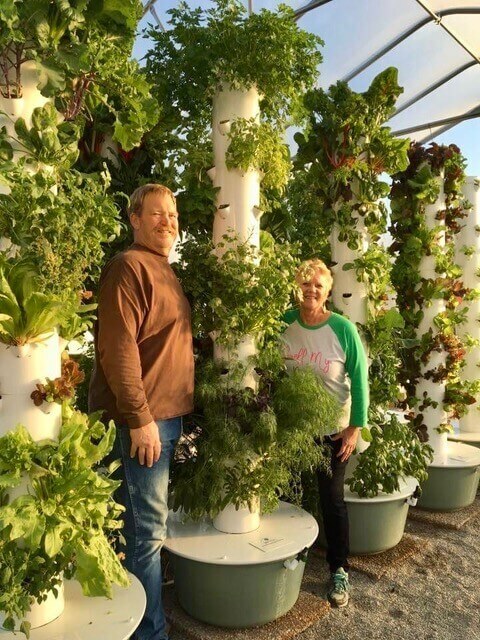 View the short video below to see a Tower Garden in action. Our seedlings are grown specifically for use in Tower Gardens. When you receive them they already have a stable root system so you achieve maximum success in your Tower Gardening. Our seedlings are hand-seeded in rockwool plugs and fed with Tower Tonic nutrient solution. You can avoid the hassle and time it takes to germinate seeds yourself and get growing faster! 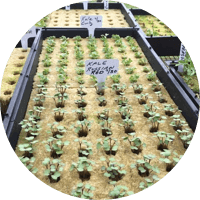 All of our seedlings are non-GMO and we grow in a clean, controlled environment ensuring the health and success of each seedling. You will find our plant availability on our Seedllings page.